This is a a "no-hitter" in baseball terms as Father Z recently described. It is a great day for the restoration of the liturgy and it is justification for all who suffered for this day. It is a firm and clear Instruction from a Vatican dicastry and it is unambiguous as to their authority to act in this regard. 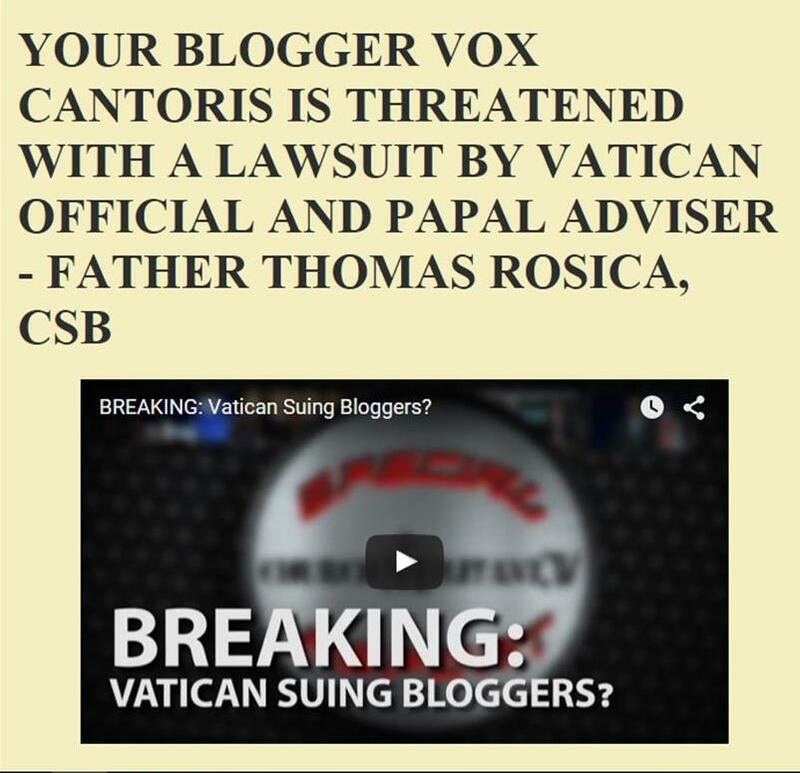 It is a clarion call for all Catholics and a warning to all in the Episcopacy and their underlings to obey. If Summorum Pontificum (The Supreme Pontiff) of the Universae Ecclesiae (Universal Church) are not appropriate enough names of these documents to gain the attention of the episcopacy, then I don't know what would. It is going to be hated by the National Catholic Fishwrap and the hippie crowd. It will be detested by those who have for almost half a century undermined the Church through a debasement of Her liturgy. It is a smack-down to those talking-head, media clerics who opine about "affectations" and other such nonsense. It states that those who think that Summorum Pontificum was only about the Priestly Fraternity of St. Pius X are wrong and any priest who thinks otherwise, is simply wrong. No Extraordinary Ministers of Holy Communion! No Communion in the hand (not even during H1N1)!!! No vernacular music (except in the appropriate Missa Lecta et Musica permissions from 1957). No Communion under both species (obviously the Precious Blood is available due to allergies of gluten). No standing for Holy Communion (unless impeded due to health, age). No Lay proclaiming scriptures (some provision for the Epistle in a Missa Solemis for a "straw-man" Subdeacon and there may be some permission for a "commentator" outside the sanctuary as was permitted prior to 1962. No Concelebration (except under the usual Ordination pattern). Triduum may be celebrated, even in the same parish as the Triduum in the Ordinary Form. Any priest is qualified in Latin if he is by law permitted to celebrate the Holy Eucharist. No bishop can prevent a priest from celebrating the EF!!!!! No minimum number on a "stable group"!!!!!!! A priest in your parish must allow another priest and laypeople access to the parish church for a Mass in the EF if he can not/will not provide it. In a Missa Lecta (Low Mass) the Epistle and Gospel may be read in the vernacular languages without first reading them in Latin. In a Missa Cantata or Missa Solemnis they can be read in the vernacular only after being sung in Latin. New Saints and Prefaces can be added and will be upon a future Instruction. More, you're a grown up Catholic and you can read it all by yourself. You don't need any media cleric or chancery official or professional Catholic to tell you anymore. You have rights, God has given them to you, Christ has ordered it, Mary has guided it and the Vicar of Christ has ensured it. "8. The Motu Proprio Summorum Pontificum constitutes an important expression of the Magisterium of the Roman Pontiff and of his munus of regulating and ordering the Church’s Sacred Liturgy.3 The Motu Proprio manifests his solicitude as Vicar of Christ and Supreme Pastor of the Universal Church...."
Bishops, priests, professional Catholics, talking-head media types; Let me tell you what this means in language you can understand; Benedict XVI, Papa Ratzinger, is THE BOSS AND HE MEANS WHAT HE SAYS. Can you understand that now? Laudeter Jesus Christus et hoc usque in saeculum! There is no better analyst and commenter in this matter than Father John Zuhlsdorf. This link will take you to a location on his blog where all his posts on this topic are summarised. Vox: Excellent breakdown of the main points in your bullets. I am very interested in how The Star Chamber and the careerist crowd are going to respond over the next few months or so. What do you think of RomeReport's coverage of UE? From my perspective, if RomeReport (which is hardly liberal) can make those many excuses for making UE irrelevant, anti-TLM Bishops will have no problem ignoring UE as they have SP in the past. Will they really be able to implement all these new directives? For example; kneeling during Communion; how are they supposed to implement this in churches (most of them) without Communion rails? Patience, this refers to the EF not the OF as you know. In the EF one kneels. All should kneel even in the OF and communion rails should be restored. Where I sing in Kinkora, six prie dieu are set out and covered in white linen. Others use the first row of pews. Older people need the rail for support too. Anil, A pretty trite review on Rome Reports. I noted how far. Father LomBARdi went to whip those SSPX'ers and Sedevantists who deny the OF; well I suppose he should. As for the silly reporter; "back to the faithful" and "only follows hte Roman Canon" as if that is a bad thing! Is this something new, that is within the last few days, or is it a clarification of the 2007 letter? Yes to both. It is something new just on Friday, May 13 and it is the clarification to the 2007 Motu Proprio because some people did not understand what motu proprio means "personal motion" in law of the Pope. While this is an "Instruction" and not from the hand of the Pope himself, it is with his authority and the the Pope has approved that the Bishops in regard to the Extraordinary Form of the Roman Rite are subject to undertake that which is issued by Ecclesia Dei. I've put the links in the article to the documents on EWTN which I had neglected to do previously.